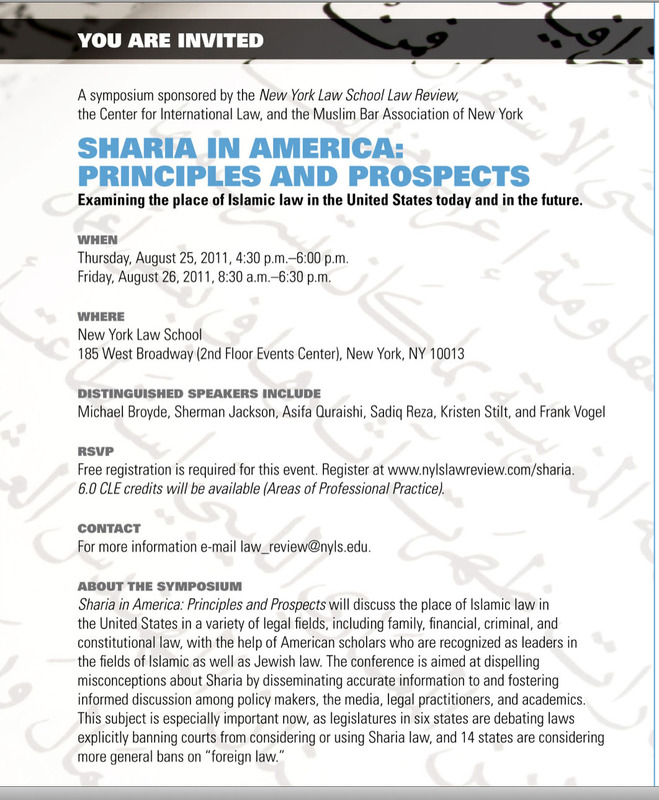 NY Law School Symposium -”Sharia in America” – Frank Vogel (Part 2) | the "silent" majority no more! 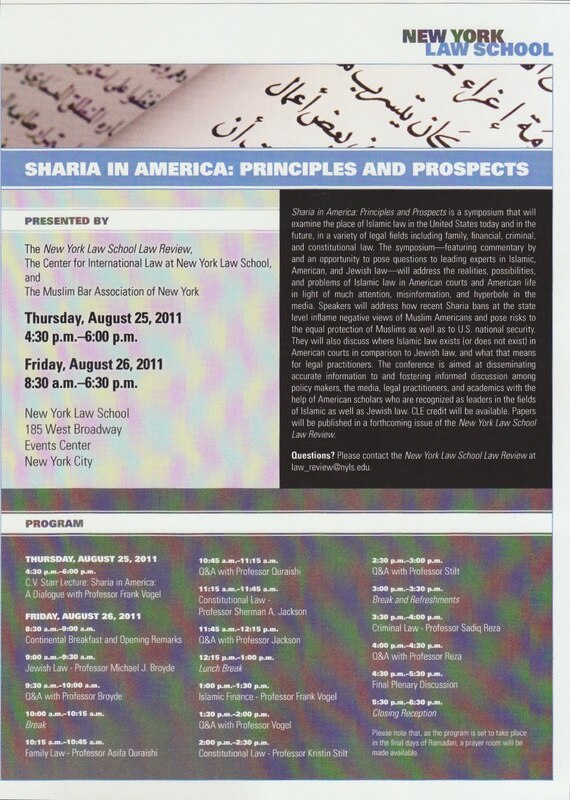 This was an 8 hour Symposium hosted by NY Law School Law School Review on “Sharia in America:Principle and Prospects” to examine the place of Islamic Law in The United States. 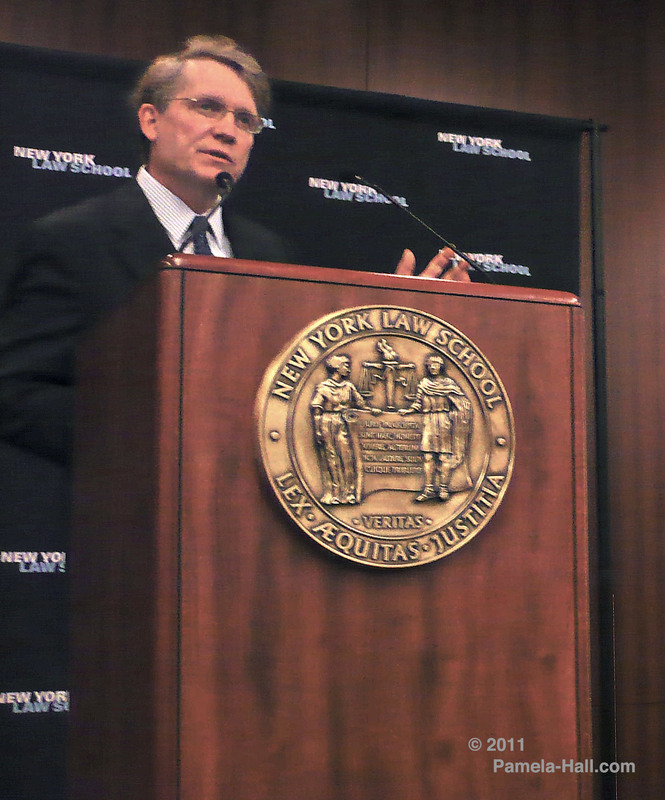 As we approach the 10th Anniversary of 9-11, this symposium seemed more like a two-day commercial for Islam. Take Heed. Pingback: NY Law School Symposium “Sharia in America” Day 2-Sadiq Reza | the “silent” majority no more!